You’re already thinking ahead to the spring. You have tons of plans for home improvements. December is the perfect time to make some money moves to improve your bottom line and get your home ready for the New Year. Most property taxes are due by the end of January, but if you pay yours in December you can take the deduction in 2015 and perhaps have a nice little bump in your tax return. Talk to your tax accountant to see if this would work well for you. If you make a second mortgage payment in December you’ll have a little more interest to write off in 2015. Again, as with any tax strategy, check with your tax accountant to see if this is a good move for you. Home improvement stores, appliance dealers and even carpet companies offer sales and discounts in anticipation of the holidays. If you’ve got a home improvement in mind, or are planning to work on a home project in the New Year, utilize the holiday low prices to buy your materials, appliances, fixtures or tools. You can even put tools on your Christmas list and maybe Santa will put that impact drill or reciprocating saw under the tree. Give your home an energy check up to see if your can reduce your utility bills during the high-usage winter months. 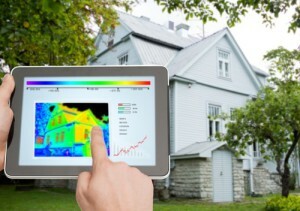 Contact your local utility to see if they can give your home an energy audit. According to the Department of Energy you can save between five and thirty percent on your energy bill by making some efficiency upgrades to your home. A professional audit can tell you the best places to save the most money. Change your ceiling fan to run clockwise. Typically, fans run counter-clockwise to move cool air. Reversing your fan (on low speed) helps push rising warm air back down into the room. The air near the ceiling can be as much as 10 degrees higher than the air near your feet, so moving the warm air back into the room can lower your energy needs. Close window coverings a dark. As soon as the sun sets, close the curtains, drapes and blinds. They act as an insulation barrier to keep the cold out and the warm air in. But, when the sun it out and shining through those windows, open up the window coverings to let that radiant heat in. Cook in your oven. Baking or roasting your home-cooked meals gives some extra warmth to your home. Replace your furnace filter. Constant running clogs the filter with dust and debris. Clean or replace the filter regularly throughout the winter and you’ll have a more efficient furnace…and lower energy bills. Your real estate professional can point you in the direction of other savings available in your area.